We had a fun night at the Scranberry Coop Shop Paint & Sip! 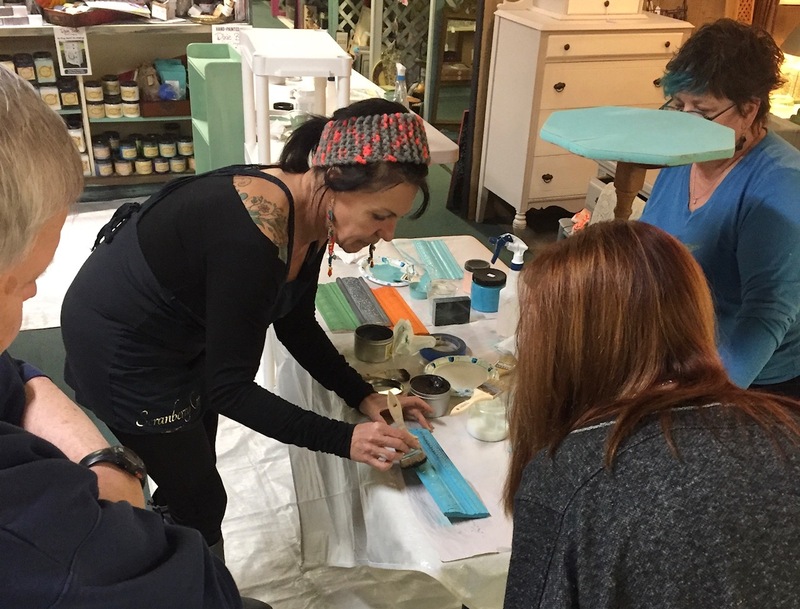 Attendees painted with our Dixie Belle Paint-Chalk like mineral paint with a great selection of colors, finishes and glazes provided by Scranberry Coop! Feel free to leave a comment below to let us know about your experience with this Shop Paint & Sip! If you are interested in learning easy painting techniques, drinking your favorite beverages, listening to awesome music, meeting great people, & having an unforgettable night, check out our next Shop Paint & Sip Event!